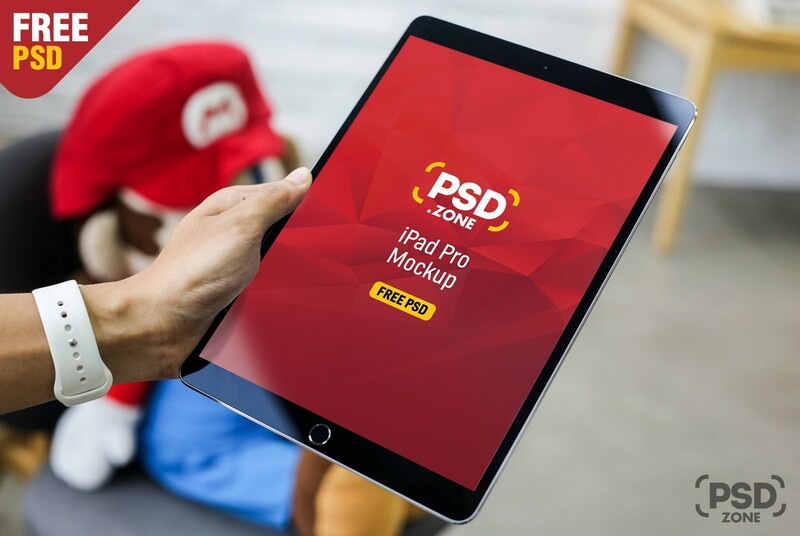 Download Free iPad Pro Mockup PSD. Today we are happy to share with you this iPad Pro Mockup PSD which you can download for free. This Free Mockup template showing a man holding ipad pro in hand in a indoor environment. This iPad Mockup is also help you showcasing your responsive website, app ui design , wallpaper and other design elements to you client in photorealistic manner. All you have to do is just open the iPad Pro Mockup PSD file using photoshop and easily place your ui design inside the smart object and you are done. Hope you like this Free iPad Pro Mockup PSD. Enjoy!